This picture is alive! 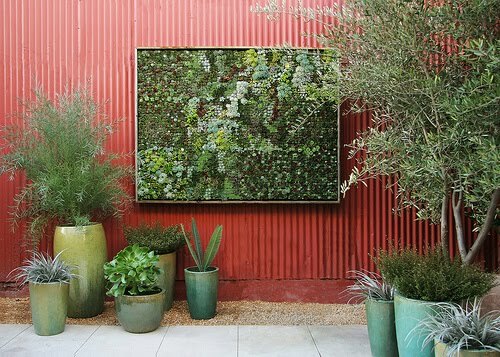 It's actually a vertical garden made up of succulents. I think it's really cool. If I had my own house, I would build one for sure. Click here for more pictures and close ups of the plants. I do wonder if it ever outgrows the frame and haven't looked far enough into the site to see how they keep the dirt from falling out.